What is a waterless car wash? Simply put, this is a car wash using an eco-friendly yet efficient spray-on treatment that uses little or no water. Generally, this process is known as a spray-on car wash . This is the treatment used at almost all popular indoor malls and automobile dealership showrooms. This treatment uses highly lubricated chemicals to wash and polish the vehicle’s bodywork. The spray-on chemicals then encapsulate dirt and dust particles, similar to how water removes dirt. This is an ideal treatment for cars with light dirt. After using a properly dilated waterless wash formula, the vehicle should then be properly dried. 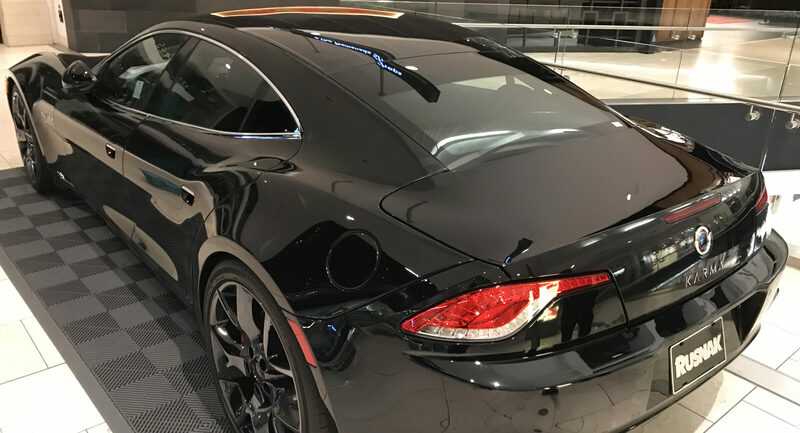 Once the vehicle is fully dry, the paint should then be protected by applying either a carnauba wax or a polymer sealant. Polishing the vehicle’s paint is very much possible after a waterless wash service. You must keep in mind however, that as with any car wash, whether it be waterless or not, proper drying of the vehicle is critical prior to beginning any polishing treatment. This is because any residue of water on the vehicle can be harmful when applying a polish, and so extra caution must be taken before polishing. 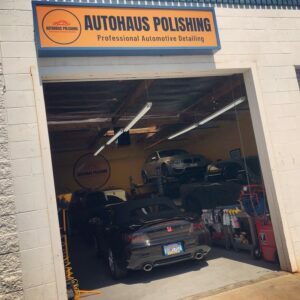 Autohaus Polishing and our IDA Certified staff have trained everyone from consumers to professional detailers, and even vehicle dealership porters on how to properly perform a waterless car wash service. Contrary to what may be the negative perception of not using water for car washing, a professional car wash product, if used correctly, will NOT damage or scratch the paint on a vehicle! For more information on our waterless wash services, or to inquire about training programs or fleet pricing for vehicle dealerships, please message us online or call our Santa Clarita facility at 661-200-0710.